Planting a garden is a labor of love, so don't lose track of all your hard work! 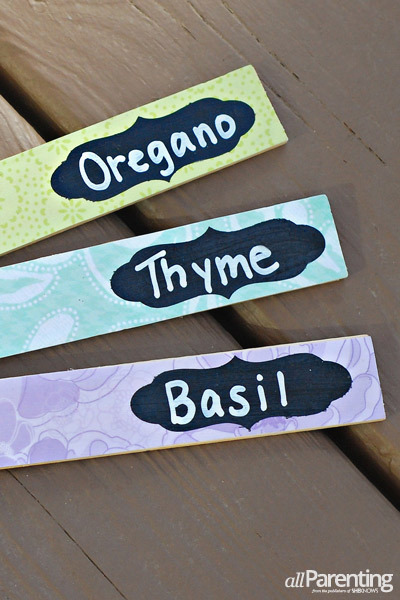 Label your garden with these cute DIY garden stakes made from simple paint sticks. 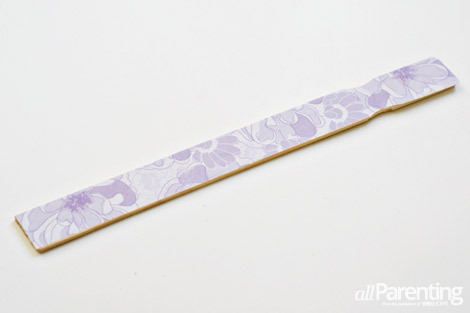 Don't settle for those flimsy plastic garden stakes when you could make something so much cuter! Pretty DIY garden labels make gardening even more fun! 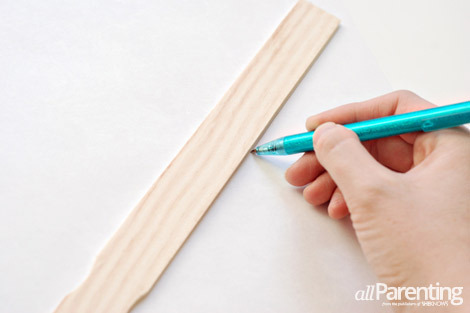 Lay the scrapbook paper face-down on the table. 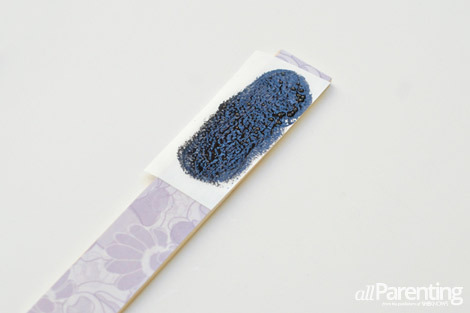 Lay one of the paint sticks on top of it and trace around it with a pen. Cut out around the outline. 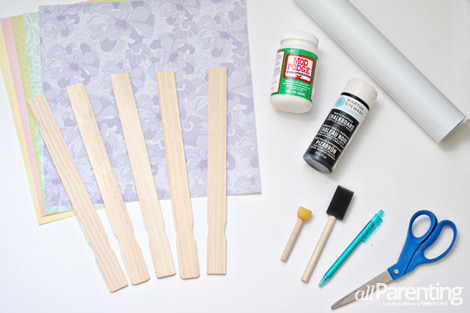 Grab your paint brush and outdoor Mod Podge and paint a thin layer of Mod Podge on the wooden paint stick. 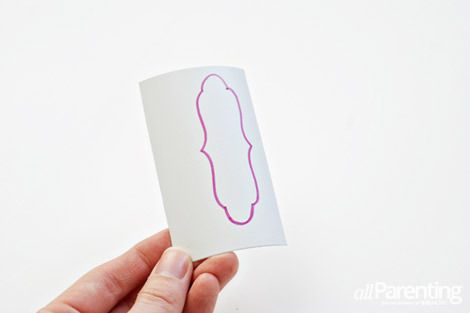 Lay the scrapbook paper cut out over the Mod Podge. Smooth out any bubbles or wrinkles and set it aside to dry. 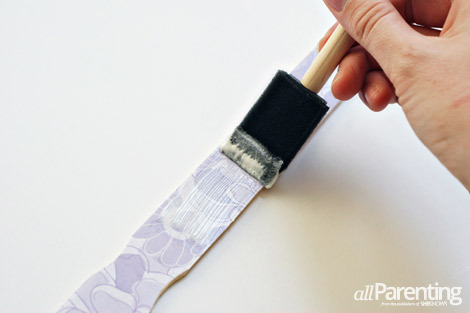 Apply another layer of Outdoor Mod Podge to the plant stick. This time, be sure to coat the front, back and sides of the stick. Let it dry for about an hour, then apply a second coat to all sides. Grab a small piece of vinyl or contact paper, and draw or trace whatever design you would like for the chalkboard label, then cut out just the center of the design. 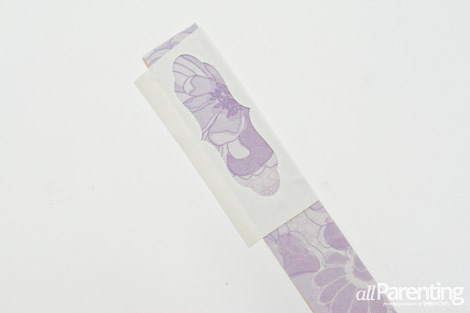 Peel off the backing and stick the vinyl to the plant stake. 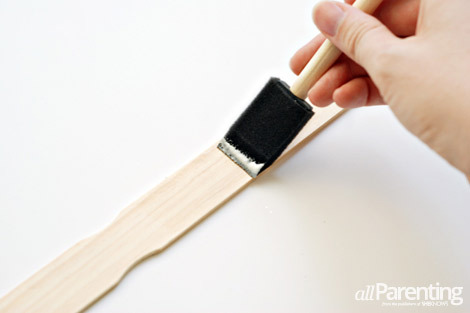 Dip your stencil brush in the chalkboard paint and fill in the opening with the chalkboard paint. Let the paint dry for one hour, then apply a second coat. While the paint is still tacky (but not wet) peel off the vinyl. 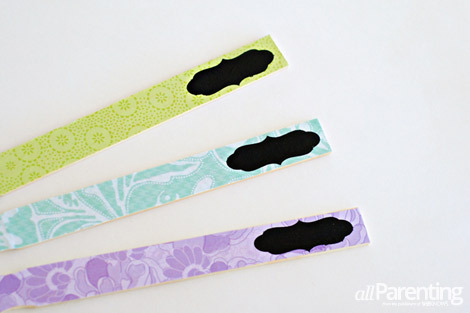 Once the chalkboard paint has dried completely, you can label your plant stakes and put them in the garden!